One of the most common laundry appliance issues our Action Appliance Repair technicians come across is a washer not spinning. 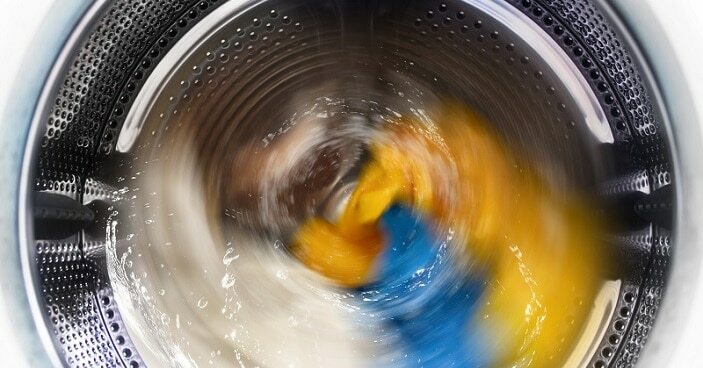 After running a load, if all the water has drained but your clothes are still soaking wet, chances are that your washer won’t spin or is not spinning fast enough. While this can certainly create a significant problem for you and your family if left unaddressed, it’s a relatively simple issue to diagnose. Both top-load and front-load washers use a drive belt to connect the drive motor to either the transmission or wash basket respectively. This is what makes your washing machine spin during a cycle, but it can wear out over time due to overheating or overloading. 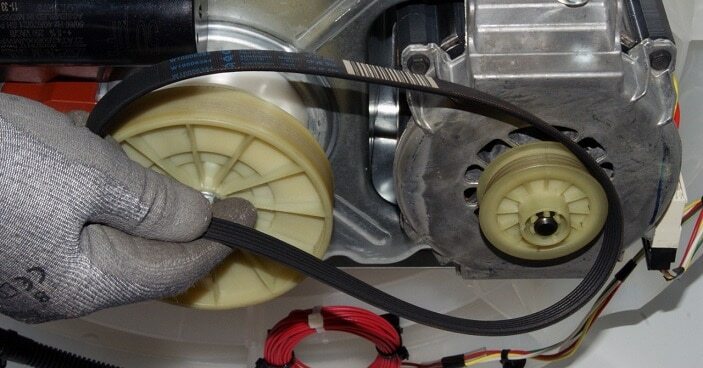 Start by inspecting the drive belt for any signs of fraying, wear, or other damage. You should also check any pulleys or motor glides to make sure that they’re turning freely and allowing the drive belt to function properly. If you have a top-loading washer not spinning fast enough or at all, it’s possible that the clutch assembly has worn out. The clutch is what engages the transmission to get the wash tub up to speed at the start and end of the spin cycle. Repeated friction is what causes washer clutches to fail. It may leave evidence of the problem though in the form of brake dust under the unit, a loud grinding noise, or a burning smell. Many top-load washers from major manufacturers utilize a lid switch as a safety feature. It’s extremely important because it stops the motor circuit from engaging while the lid is open, preventing potential injury. Unfortunately, lid switches fail all the time, which can leave you with a washer spinning but clothes wet, or not spinning at all. Disconnect the lid switch and test it with a multimeter to check it for continuity. Replace as needed. Another common culprit of a front-load washer not spinning or washer doesn’t agitate issue is a broken drive motor coupling. 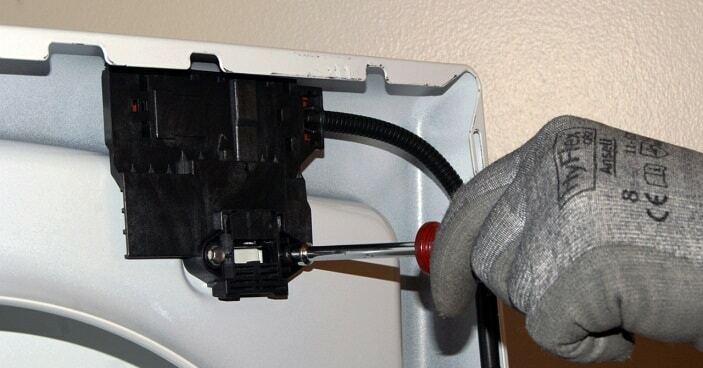 It connects the motor to the washer transmission, but it’s designed to fail in case of overloading to prevent more severe damage. If your washer stops spinning, you’ll need to visually inspect the coupling to see if it needs to be changed. Front-loading washers use a door lock or interlock as a safety mechanism similar to the lid switch for top-loading models. It locks the washer door and prevents it from being opened while a cycle is running. When the door interlock breaks, one of two things will happen. Either the door won’t lock at all, or the washing machine will sense that the door isn’t closed, causing your washer to stop spinning. Some modern units have digital displays that will show a door lock error code, but for all other models, you’ll have to inspect the part to know if it has failed. Some washer not spinning problems are caused by parts you can replace yourself. Others are more complicated though and require an expert to perform the repair. 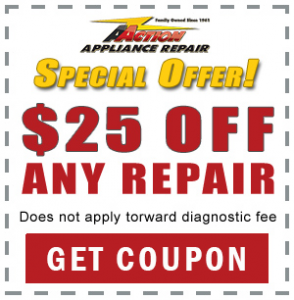 That’s why you should call the experts at Action Appliance Repair for your washer repair service anywhere in Rhode Island, Connecticut, and select cities in Massachusets.